Gordon Sinclair Davidson, farmer and grazier, and prominent Presbyterian, was born at North Unley, Adelaide, on 17 January 1915. He was the first of two sons of Sinclair Davidson and his wife Elsie Eva, née McNeil, both native-born. Sinclair Davidson farmed Burnfoot, at Angas Plains, near Strathalbyn, South Australia, where many Scots had settled. Davidson, who saw his descent as ‘pure Scots’, was later to sport ‘flamboyant Scottish bow ties’ as a Senator. Educated at the one-teacher school at Angas Plains, where his mother had once taught, Gordon became a boarder at Scotch College, Adelaide, for three years from 1929. For the first two years at Scotch he studied agriculture, turning in the last year to history, geography and English. Encouraged by his mother, he had become a keen reader and lover of music (especially the piano), while the model parliament at Angas Plains school developed his public speaking skills. Suffering a recurrence of childhood rheumatic fever at the age of twenty-four, he listened to parliamentary broadcasts during convalescence, becoming ‘increasingly fascinated’. Davidson acquired further experience in public speaking from his involvement in Strathalbyn’s Presbyterian Church during the 1940s, as session clerk, elder, and lay preacher. In March 1941 he was initiated into the Freemasons at St John Lodge, No. 15, Strathalbyn, and by 1949 was elected Grand Steward. Davidson commenced lecturing for the Freemasons in 1952 and was designated Grand Lecturer in 1964. He entered local government as a member of the Strathalbyn District Council from 1942 to 1950, serving as deputy chairman for the last two years of his term. Joining the Liberal and Country League (LCL), probably in 1940, he became a member of the LCL’s Stirling district committee, attending statewide meetings of the party’s organising committee, and representing Stirling on the state executive from 1947 to 1951. In recruiting new members, he found that Labor’s policy of bank nationalisation reaped ‘a harvest’. When the federal Leader of the Opposition, R. G. Menzies, visited Strathalbyn in 1948, Davidson’s vote of thanks brought him recognition, ‘the very life blood’ of an aspiring politician. War work consolidated his local reputation. While Davidson had served for a few months in 1942 (May–August) in the 4th Battalion Volunteer Defence Corps, he and his brother were in great demand in the district as musicians, raising funds for the war effort through their performances. In 1950 he left for the United Kingdom, remaining overseas for nearly two years. He spoke at the General Assembly of the Church of Scotland and at the Assembly of the Presbyterian Church in Ireland. In England, he joined the Conservative Party, closely observed the House of Commons, ‘the best show in town’, and later hitchhiked through the United States and Canada. On his return to South Australia, Davidson married Patricia Emma (Pat) Newman, a clerk, on 19 December 1952 at the Methodist Church, Glenelg. Pat and Gordon would make their home at Glenelg for almost fifty years, becoming closely involved in the Glenelg branch of the LCL. From 1952 until 1965 Davidson served as organising secretary of the Presbyterian Church, contributing to the South Australian Presbyterian. Between 1955 and 1969 he had a short weekly news session on Presbyterian Corner, on radio 5KA. This job, with its connections ‘all over the state’, was ‘a very great help indeed’ to Davidson, who had an eye on the Senate. Founding chairman, in 1957, of the Dunbar Presbyterian Homes for the Aged, he served as president of the South Australian Council for the Royal Flying Doctor Service between 1965 and 1967. I believe that my being a woman and some shrewd parish pump politics on the part of Gordon Davidson, were the major factors behind my relegation to the No. 3 position. I was told later that my opponent had managed to obtain a list of LCL Council members who had a vote in the Senate preselection and, while I was engaged in my Senate duties in Canberra, he set out to make contact with each of them. The outcome was that I was beaten by 15 votes out of 300 to take the second place. I found my opponent’s success the more galling because I had personally encouraged his political ambitions initially. But Davidson’s strategy earned him the reputation of being ‘very much a grassroots politician … [who] knew that one managed to get votes by relating to people and by being concerned about the interests of those who were voting’. In the election of 1970, Davidson took first place on the party ticket. Placed third in 1974, he again headed the ticket in 1975. Davidson gave his first speech in the Senate on 19 October 1961. He said later that, while preparing for this, he received a telegram from the South Australian Premier Tom Playford, suggesting that he speak in support of the Commonwealth’s proposal to establish a dam at Chowilla on the Murray River. Davidson’s speech on 19 October pointed out that the River Murray Commission’s inquiry on the proposed dam at Chowilla had been initiated by Playford. Warning of the imminent danger of lack of water in South Australia, Davidson expounded on the history of water in South Australia to such an extent that his Liberal colleague, Senator Withers, made some polite, though pointed, comments, implying that in not discussing the issue on a national basis, Davidson had been somewhat parochial. The speech on Chowilla helped to advance his career, and started Davidson on the subject of water, a topic to which he would return. In May 1968 he seconded the successful motion by Senator Henty to establish the Select Committee on Water Pollution, and two years later on 10 June 1970, as chairman, he tabled the committee’s report, reviewed by the Bulletin as ‘impressive’ and ‘immensely readable’. The committee urged that the Commonwealth establish a national water commission to devise a policy on water resources management, though no such measure was taken until 2004. This committee was one of several significant select committees of the 1960s whose findings were sufficiently impressive to attract public interest, and to forward the ideas, originally put forward by J. R. Odgers, for the establishment of a more comprehensive committee system in the Senate, of which Davidson became a champion. Davidson would serve on sixteen committees, chairing six. He also served on a number of party committees, and filled the parliamentary position of a temporary chairman of committees, from 1970 to 1981. Davidson made his greatest impact in the Senate as chairman of the Standing Committee on Education, Science and the Arts (1971–74), and its successor, Education and the Arts (1976–81), taking over the role of chairman on 25 August 1971, as the committee’s inquiry into teacher education was getting under way. Davidson’s report was tabled in the Senate on 22 February 1972, when it attracted some media comment, as it recommended that all approved teachers’ colleges be incorporated in Colleges of Advanced Education to ensure matching grants from the Commonwealth. Davidson was a member of a comprehensive inquiry into broadcasting in 1973, which led to the committee’s 1978 report on the impact of television on the development and learning behaviour of children. This report exposed the dangers of self-regulation in the media and the poor quality of children’s programs. In March 1978 Davidson was quoted in the Age newspaper as saying: ‘There is not enough research, time, money or care put into television for children in Australia’. In November his concerns (held by many others at the time) about television ‘stifling’ children’s minds were aired in the Australian under the heading: ‘The lonely, deprived children of the Box’. While some of these worries may have been overstated, the ALP’s Senator Ryan believed that the unanimity of the report ‘was due in no small part to Davidson’s excellent chairmanship’. Most controversial of all its inquiries into television and broadcasting was the committee’s response to the Fraser Government’s Broadcasting and Television Amendment Bill of 1980, which sought to establish an Independent and Multicultural Broadcasting Corporation (IMBC) that would be partly funded by commercial advertising. This attracted considerable media interest, especially as four Liberals in the Senate had defied their government by voting to refer the bill to the Standing Committee on Education and the Arts, headed by Davidson. The committee’s unanimous report recommended against proceeding with the IMBC without more thorough preparation, drawing attention to the risk involved in drawing revenue from advertising and thereby compromising programming principles. The Government pursued the less controversial aspects of the bill, continuing with the existing Special Broadcasting Service, rather than establishing the IMBC. On broadcasting matters, Davidson, as chairman of the committee, encouraged, as well as responded to, community pressure for change, urging the Public Broadcasting Association of Australia to join him in doing ‘great things—opening minds—widening horizons—and even raising hell! But let us do it all with excellence’. 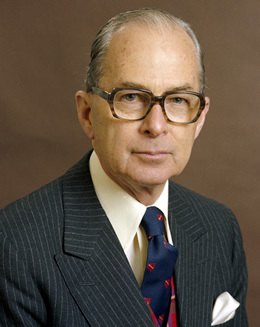 Central to Davidson’s committee work was his involvement in the Library Committee (1965–81) and the establishment in 1966 of the Parliamentary Library’s Legislative Research Service, critical in servicing the growing needs of members and senators for information. He was chairman of several of the Library Committee’s subcommittees, including Client Services, and was the Senate’s representative on the council of the National Library of Australia from 1973 to 1981. He served as Australasian Regional Representative on the Commonwealth Parliamentary Association’s executive committee in 1976 and 1977. He also chaired the Commonwealth Immigration Advisory Council from 1967 to 1973. By 1980 Davidson had made it clear he did not wish to stand at the October election, and on 1 January 1981 he was appointed CBE for his parliamentary service, leaving the Senate on 30 June of that year. In retirement he continued to enjoy music and the arts, and his membership of the Commercial Travellers Association, the Public Schools Club, the Commonwealth Club and, from 1978, the Adelaide Club. Davidson died in Adelaide on 25 November 2002, the funeral service being held at Scots Church, North Terrace, Adelaide, where he had worshipped. Pat survived him. While Davidson’s greatest contribution in the Parliament was his work on Senate committees, he remained a cultivated man from South Australia, as well as a politician. He fully acknowledged the impact of the Presbyterian Church on his life. It has, he said, ‘reared me, educated me and provided me with every conceivable opportunity for developing toward the public life I have been privileged to lead’. In 1968 these two strands, the political and the religious, had come together, when he helped found the Parliamentary Christian Fellowship, of which he was president from 1976 to 1981. That he was a man of fastidious taste is indicated by comments from Andrew Thomas. According to Thomas, Davidson had ‘decorated his office to be the most tasteful in Parliament House, with soft, concealed lighting, rugs on the floor and attractive paintings on the walls’. His parliamentary colleagues remembered him as ‘a gentle, well spoken, elegant’ man of integrity, who had ‘quite strong views, but they were always moderately expressed’. Gordon Sinclair Davidson, Transcript of oral history interview with Bruce Edwards, 1984–86, POHP, TRC 4900/41, NLA, pp. 1:2–5, 1:10, 1:14–15, 1:20–1, 2:6–8, 2:12, 2:14; Jim Faull (ed. ), Alexandrina’s Shore: A History of the Milang District, Milang and District Historical Society, Milang, SA, 1981, pp. 147, 150, 244; CPD, 2 Dec. 2002, p. 6850; The author acknowledges the assistance of Peter Trumble, Scotch College, Adelaide; Presbyterian Church, SA Assembly, Session minute book—St Andrews, Strathalbyn, SRG 123/225, SLSA; St Andrew’s Church, Strathalbyn, Centenary Souvenir: Historical Sketch 1844–1944, Strathalbyn, SA, 1944; Elizabeth Bray, ‘Senator Gordon Davidson CBE’, South Australian and Northern Territory Freemason, Summer edn, 2005, p. 21; The author is indebted to Kerry Abbott, Records Administrator, Alexandrina Council, SA; Liberal Party, SA division, Records, SRG 168/1/43, bundle 1, SLSA; Southern Argus (Strathalbyn), 12 Dec. 2002, p. 31; Advertiser (Adel. ), 11 Jan. 2003, p. 66. Davidson, Transcript, pp. 5:2, 5:5, 7:3; Southern Argus (Strathalbyn), 12 Dec. 2002, p. 31; Robert J. Scrimgeour, Some Scots Were Here: A History of the Presbyterian Church in South Australia 1839–1977, Lutheran Publishing House, Adelaide, 1986, pp. 154, 203, 206, 218. Advertiser (Adel. ), 18 Nov. 1958, p. 7; SAPD, 28 Sept. 1961, p. 957, 19 Apr. 1962, p. 92; Nancy Buttfield, assisted by June Donovan, Dame Nancy: The Autobiography of Dame Nancy Buttfield, Lutheran Publishing House, Adelaide, 1992, p. 133; CPD, 2 Dec. 2002, p. 6849. CPD, 19 Oct. 1961, pp. 1298–302; Davidson, Transcript, pp. 7:16–17; CPD, 7 May 1968, pp. 825–9, 10 June 1970, pp. 2210–11; CPP, 98/1970; CPD, 17 Sept. 1970, pp. 709–11; Bulletin (Syd. ), 27 June 1970, p. 52; Advertiser (Adel. ), 18 Mar. 1981, p. 5; CPP, 117/1979. CPD, 4 June 1970, pp. 2069–72; Senate, Journals, 4 June 1970, p. 190; CPD, 12 June 1981, p. 3257. Press release, Standing Committee on Education, Science and the Arts, 25 Aug. 1971, CPL; SMH, 23 Feb. 1972, p. 10; CPP, 1/1972, p. xiii. CPP, 108/1973, 509/1978; Age (Melb. ), 29 Mar. 1978, p. 18; Australian (Syd. ), 24 Nov. 1978, p. 7; Patricia Edgar, Bloodbath: A Memoir of Australian Television, MUP, Melbourne, 2006, pp. 91, 93, 97; AFR (Syd. ), 1 May 1980, p. 3; CPD, 19 Aug. 1980, p. 31. CPD, 21 May 1980, pp. 2588–9, 22 May 1980, pp. 2676–7, 19 Aug. 1980, pp. 29–33; CPP, 132/1980; Australian (Syd. ), 20 Aug. 1980, p. 2; Age (Melb. ), 20 Aug. 1980, p. 3; CPD, 16–17 Sept. 1980, pp. 1123–30; Gordon Davidson, Speech, Public Broadcasting Association of Australia, Canberra, 12 Oct. 1979, p. 14, Gordon Davidson Papers, MS 5869, NLA. Parliamentary Library file, 1965–68, Davidson Papers, M969, box 15, NAA; Senate Registry File, A8161, S69, NAA; CPA Newsletter (London), 4 Feb. 1981, Davidson Papers, M962, NAA; Advertiser (Adel. ), 18 Sept. 1971, p. 4. Press release, 15 June 1979, Speech, 31 Oct. 1981, Davidson Papers, M1925, box 1/1, NAA; Advertiser (Adel. ), 2 July 1981, p. 1; Letter, Harold [Weir] to Davidson, 3 Mar. 1981, Davidson Papers, M969, box 15, NAA; CPD, 2 Dec. 2002, pp. 6845–50; Andrew Thomas, Her Five Husbands, Access Press, Bassendean, WA, 2000, p. 159. This biography was first published in The Biographical Dictionary of the Australian Senate, vol. 3, 1962-1983, University of New South Wales Press Ltd, Sydney, 2010, pp. 220-225.